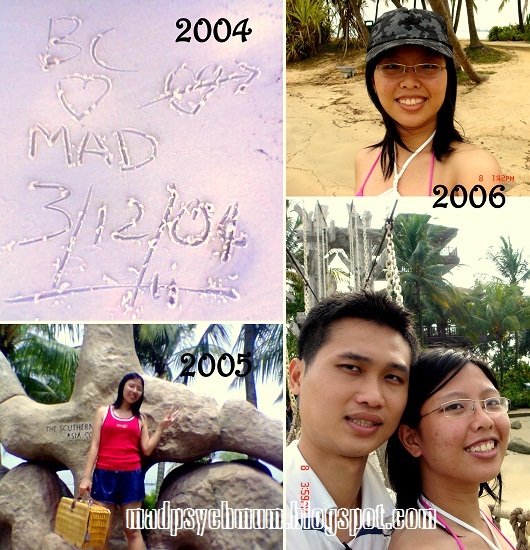 In the days when I was just 20 and the hubby 25, we made our first trip to Sentosa together as a couple. It bonded us together and I have many lovely memories of the place. Since then, we'll try to go there at least once a year. Except after a while, we became busy with wedding planning, getting pregnant and having a baby. 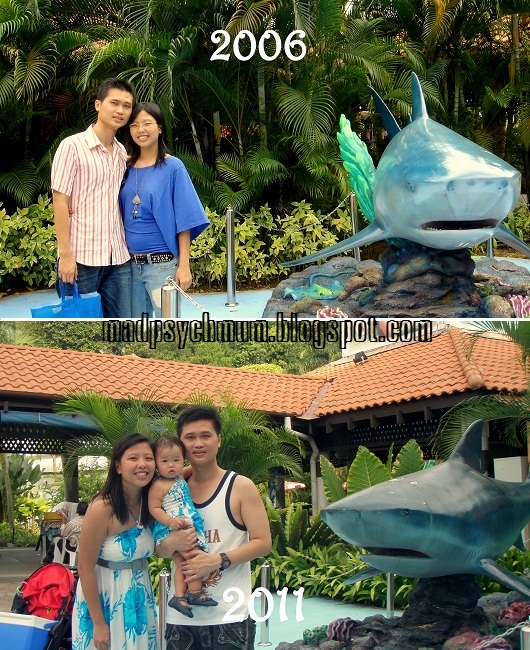 Although we still went to Sentosa intermittently, it wasn't with just the two of us. Especially not with a large belly and me feeling dizzy all the time. 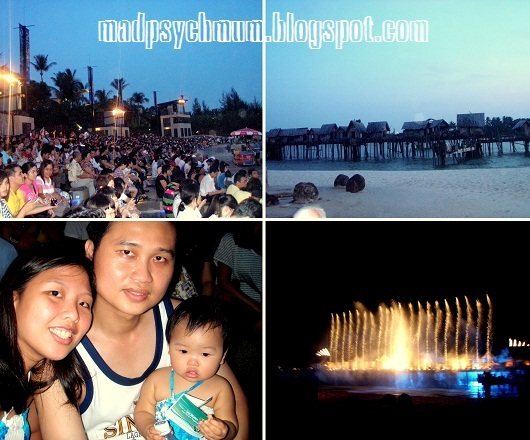 Hence, it wasn't surprising now that baby is older that I started bugging the hubby to take us to Sentosa again, especially with all the new changes that Sentosa had gone through. We did spend a short time together on Siloso beach during the Disney Junior launch event but I wanted to spend more time exploring the place. So, the hubby finally took leave to take us there yesterday afternoon. We parked at the beach carpark and walked to Siloso beach, which was a change from our usual tradition of 'setting up camp' at Southernmost point of Continental Asia at Palawan beach. Girlee's 1st time playing in the sea! She was a little apprehensive at first, but the inviting waters and strong waves proved to be irresistable. Splashing in the strong waves! The clear blue skies and cool waters created the perfect playground for baby girl to have fun in the sun. Her happiness really rubbed off on us. We couldn't stop smiling and laughing with her. But I think age has really caught up with us as we only spent about 15-20 minutes in the sea before mummy surrendered and insisted we get out of the water. Baby looked really tired and too sunburnt to stay out in the sun any longer anyway. After washing up, we headed to the Underwater World which was just round the corner. The last time we were here, we were not even engaged yet. And here we are 5 years later, married and with a baby girl! 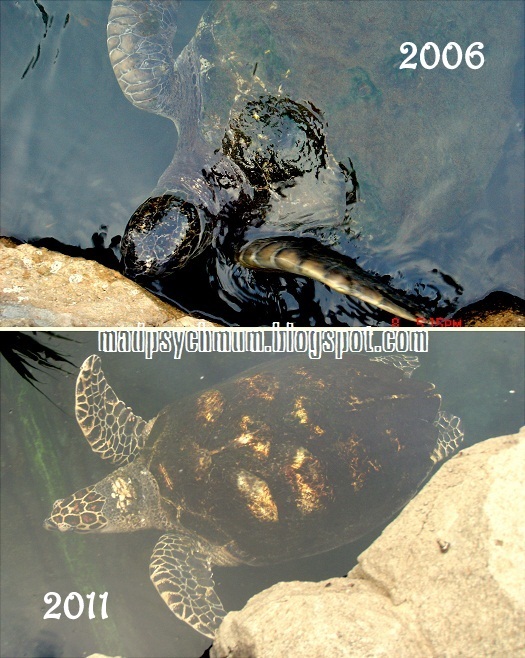 Although the Underwater World didn't really change much throughout the years, the beach tram however has been upgraded. The new beach tram is wheelchair-friendly and able to accomodate our stroller quite easily. After our joy-ride, baby girl clamoured to be fed. I was pleasantly surprised to find out that there was a nursing room at the beach station (my reviews here). Then it was time for the fountain show, 'Songs of the Sea', to start. 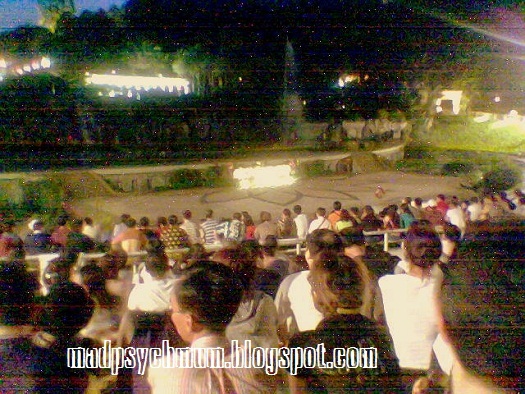 This show used to be situated in central Sentosa (where the merlion is) and didn't cost a cent to watch. Nowadays, the show has been relocated to the edge of the beach, boasts state of the art lasers and pyrotechnics and costs $10 (standard seats) / $15 (premium seats) per person. We bought the standard seat tickets and entered the arena about 15 minutes before the show started. Already there was a huge crowd of people eagerly waiting for the show to start. Oh yes, HAPPY BIRTHDAY SINGAPORE!